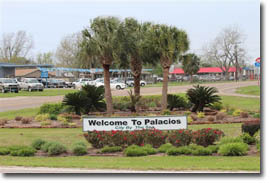 Palacios Abstract & Title Company provides the professionalism and expertise you’d expect to find in a big city title company right here in Palacios, Texas. 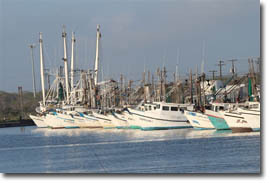 We’ve been a trusted advisor for property transactions in Palacios and Matagorda County since 1997. 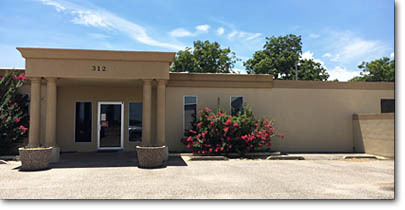 The members of our staff grew up in Matagorda County, and we are active members of the Palacios and Matagorda County business communities. Please contact us at 361-972-9996 or by fax at 979-241-3792. Title insurance protects against loss or damage suffered because of liens, encumbrances, defects in title, and other issues of ownership. Property title can be affected by all sorts of issues and events such as probate, easements, mechanics liens, divorce, unpaid taxes, encroachments or protrusions and surface and mineral rights. Palacios Abstract & Title Company uncovers title issues through a thorough title examination, and we can propose strategies to cure many title defects so as to allow your property transaction to proceed. A loan title policy protects the lender and an owner’s title policy protects the buyer in a property transaction. When a loan policy is issued, the title company will also issue an owner’s title policy, unless the property buyer declines it, in writing. Most lenders will require a loan title policy. Even if no lender is involved in a transaction, it’s a wise decision for the purchaser to insist on a title examination as a condition of closing and also consider the purchase of owner’s title insurance. Whether you are purchasing a new home in Palacios, refinancing your home to take advantage of today’s very low interest rates, purchasing an investment property, obtaining a home equity loan, or obtaining a reverse mortgage, you can trust Palacios Abstract & Title Company. We will work hard to provide you with professional and courteous title examination, title insurance, and closing and disbursement services. Title insurance rates are set by the Texas Department of Insurance — not Palacios Abstract & Title Company and not by the insurance underwriters. So there’s no cost difference for a homebuyer to have title insurance with one underwriter or another. Our dedication to customer service sets us apart from other title companies! When you initiate a property transaction with us, we can provide you with an estimate of the cost of the loan and owner’s title policies based on the Texas Department of Insurance schedule of rates. If you’d like to review that rate information yourself, please visit the Texas Department of Insurance website by clicking this link. Palacios Abstract & Title Company represents First American Title Insurance Company, Stewart Title Guaranty Company, and Alamo Title Insurance. 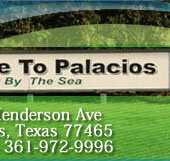 Over 22 Years of Title Experience in Palacios! Since the cost of title insurance is the same for every title company, we focus on providing friendly, professional service to set us apart from our competition. When you’re thinking about title services for a property transaction in Palacios or anywhere in Matagorda County, please call Palacios Abstract & Title Company at 361-972-9996.